We begin our reading this week in the book of Ezra which takes about 50 years after the fall of Jerusalem. The book begins with Cyrus, the king of Persia, issuing a decree allowing the Jews to go back to Jerusalem to rebuild the temple of God. In 539 BC King Cyrus overthrew Babylon and took control of a massive empire. Then, as we will read in the book, God stirred in the heart of King Cyrus to send the first wave of Israelites back into Jerusalem and he promised to give them money to rebuild the temple and offer sacrifices to God. We will only read the first part of this book this week but we are going to see that not everyone supported this plan. A group of people steps in to try and keep God’s people from rebuilding, but in the end, God’s plan and God’s grace is once again seen in Jerusalem. Next, we are going to be reading the prophet Haggai and this short book is about the rebuilding of the temple of God and the promise that the glory of the Lord would return. There is one passage in particular from Haggai that I want us to look at this week and it has to do with God shaking the earth once more. Zechariah is next and this book picks up where Ezra leaves off. The people have rebuilt the foundation of the temple of God in Jerusalem but the opposition is still strong. Zechariah addresses what was going on in the hearts of the people during this time. He had to deal with a lot of discouraged Jews who look are looking around at the nations and feeling like they don’t really matter all that much. But God wants doesn’t want them to “despise the day of small things.” The point of this book is for the people to learn faithfulness to God and trust in His promises. Finally, we are going to be reading in the book of Esther which tells how a beautiful Jewish girl became queen of Persia and how she stood up for her people, putting her own life on the line to intercede for them. The book of Ezra opens by repeating the end of 2 Chronicles and I point this out because it helps us to see that the books of the Bible are meant to read as a connected story, a flowing work of history. But what is the message in these first few chapters of the book? This book reminds us that no matter what we are facing today, God is still moving, working, and acting in the world to accomplish His purpose for His people. The people of Judah are slaves once again but God hasn’t forgotten them. In fact, this book is evidence that God not only still cares about His people but also that He holds the hearts of kings in His hand. God is not done. He is not giving up on His plan nor His people. He will keep moving forward even when it looks like all hope is lost. But why did God want to bring the Jews back to Jerusalem? Why not just start over with them right there in Babylon? Going back to the Promised Land meant starting over from scratch, but that’s what they had to do because God made a promise and that promise entailed a King for Israel rising up from the land of Bethlehem. In other words, Jesus was coming. Just when you think that God is through with Israel, His greatest promise yet is about to be fulfilled. God is willing to turn the nations upside down to accomplish His purpose of redemption and sometimes He will use one generation to build, restore, and get everything ready for what He is going to do with the generation that is to come. Like Ezra, Zechariah is a prophet during the post-exilic period and his task was to encourage the people not to lose heart during the time of rebuilding. If God was going to get Jerusalem ready to welcome the Coming King then someone was going to have to do the hard work of reconstruction. That’s where Zechariah comes in. The people who returned to Jerusalem started out with a great deal of enthusiasm, but now that they are 20 years into the work, it seems more daunting than ever. Not to mention the fact that they were facing opposition that had slowed their progress to a complete halt. Now, as you read through this book there are quite a few visions and oracles that are hard to understand and I would recommend that you consult a good study Bible like the ESV Study Bible as you move through the book. But the overall theme of this book is the need for God’s people to stand in faith and embrace the calling of their God. Why would the people of God fear the size of a task? Why would the people of God fear opposition from the world? Why would the people of God reject the plan of God for their lives? I’ll let you answer those questions on your own, but at some level, the problem is not with God and His plan but with the people’s lack of trust and lack of faithfulness. God hasn’t abandoned His people, but instead, He is about to give them the greatest gift and blessing that they have ever received. Their task today is to be faithful and so is ours. We live on this side of the cross, having received the blessing of salvation through Christ our Messiah. The full measure of our hope stretches into eternity and our calling is to be faithful today. Our calling is not to despise the day of small things, but to trust the Lord’s timing and purpose. So take some time this week think about the small things that God has called us to be faithful in. 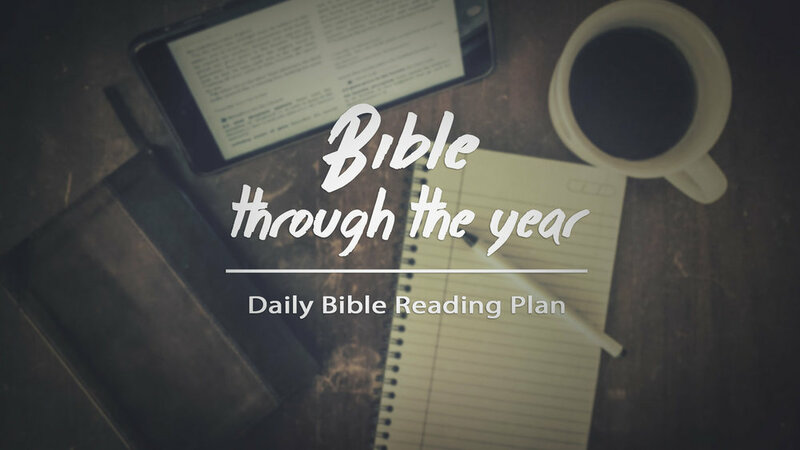 Discuss with others how we can stay faithful in the day to day task of discipleship. Discuss also the blessings that are coming our way when our Messiah and King visits us again. Finally, in the book of Esther, we see a young woman who faces great fear and uncertainty as she stands for her people. This is a wonderful book but in a way, it is an odd one. It’s not odd that the main character of the book is a woman, there are amazing women of God who stand out in Biblical history, so it’s no surprise at all that an entire book is devoted to this one. No, this book is odd because, well for starters, God is not mentioned in the entire book. Now, we all love this story because it shows us a woman willing to face death in order to save her people and this points our attention to Jesus, the one who was not only willing to face death but who actually died to save us from our sin and God’s judgment. So let’s be sure to pray and thank God for this gospel reality in the book of Esther. But let’s also pray that God would help us to think in the right categories. Let’s pray that we do not get to the point of talking around God but that He would keep our hearts fixed on Him no matter what is going on in our lives.